Calzone is a folded over pizza where the toppings are used as a filling. No sauce is used but you can always add if desired. 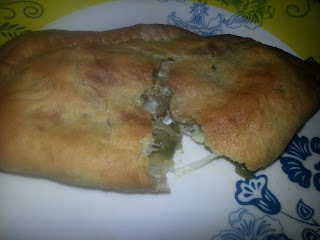 If you like pizza then you will definitely like calzone too. 1. 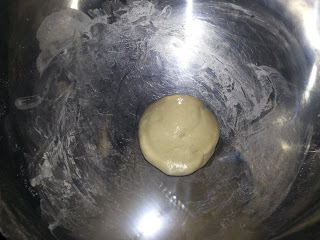 In a mixing bowl add the flour, salt, sugar and yeast. Mix well. 2. Add warm milk little by little as required and knead to a soft dough for 8-10 minutes. 3. 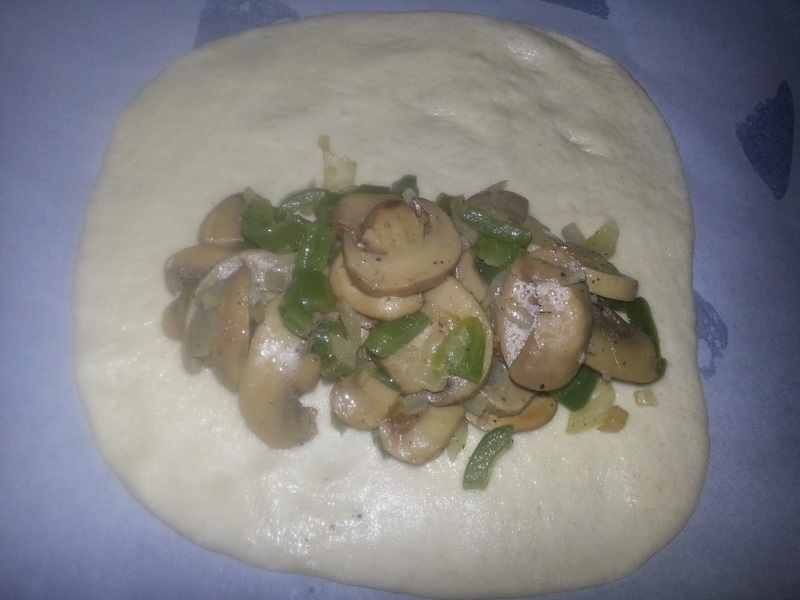 Apply olive oil over the dough, cover with cling film and allow to rise for an hour till it doubles. 4. 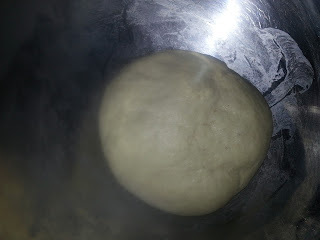 Punch the dough once it doubles and knead again for 2-3 minutes. 5. Divide the dough into two equal portions. 6. Roll the dough to form a disc. 7. 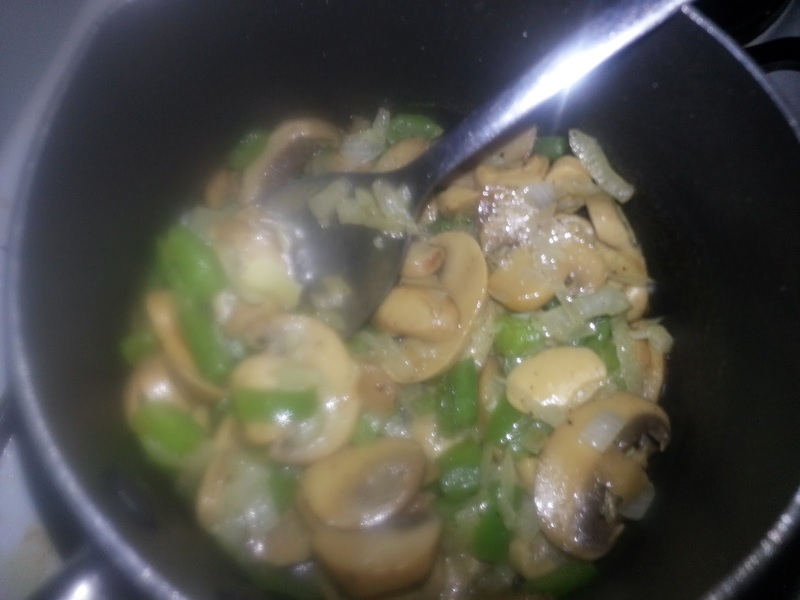 Mix the onions, mushroom and capsicum with some salt and pepper. 8. Place half of this mixture in the bottom half of the disc. 9. 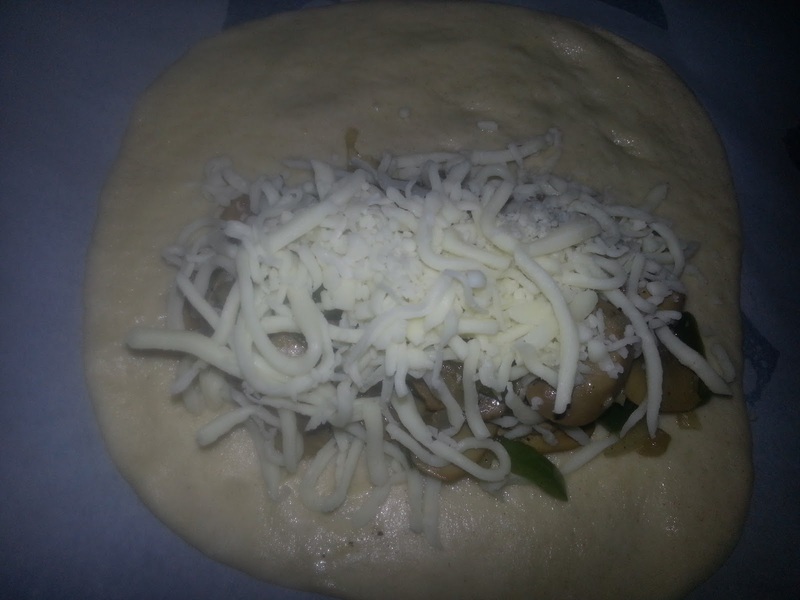 Sprinkle cheese on the vegetables. 10. Fold the disc over the vegetables to form a semicircle. 11. Seal the edges using a fork. 12. 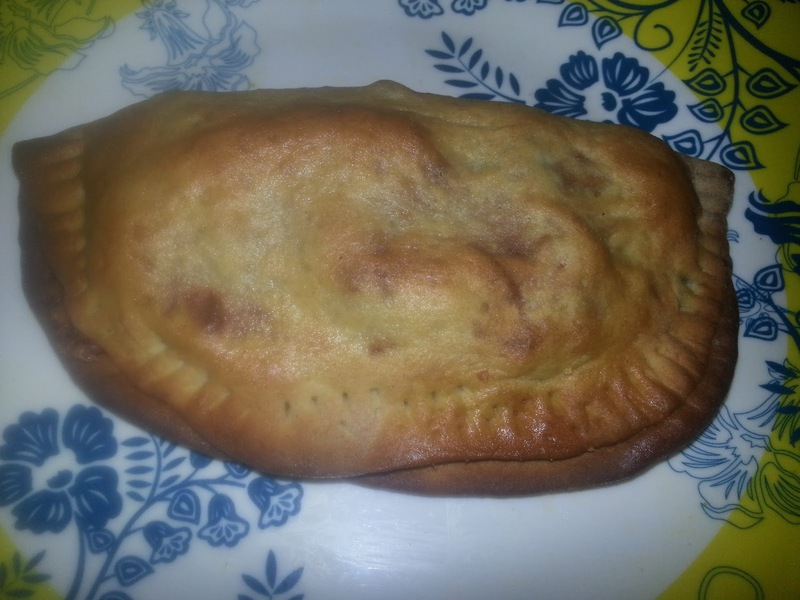 Apply olive oil on top of the calzone. 13. 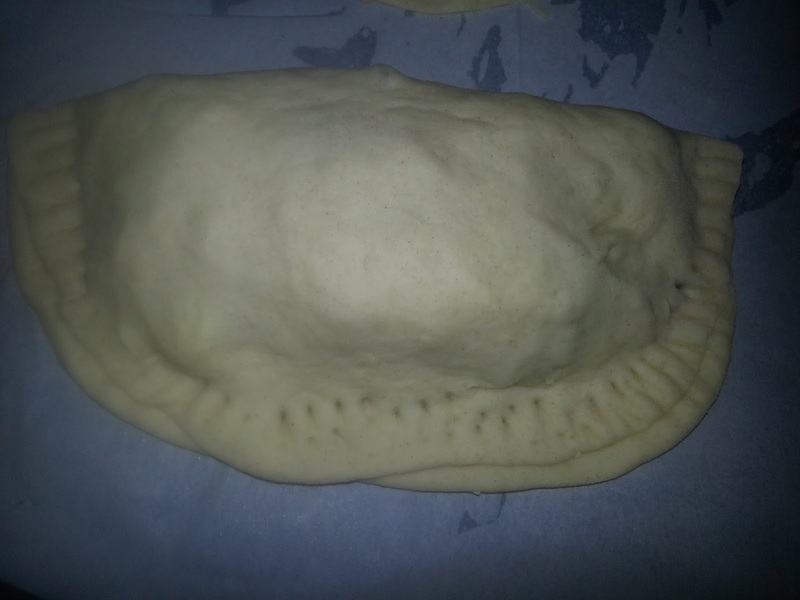 Place the calzones on a greased baking tray. 14. Bake for 30-40 minutes or till golden brown and done. I made them crisp by leaving in oven to brown for longer. 15. Remove from oven and apply butter on top.